The quest for the perfect holiday has begun. We all want things to be nice without complications. Sometimes things out of our control get in the way like bad weather or running out of the toy you’re meant to buy for Santa. With the right amount of planning, you can always pull off a perfect holiday but you don’t have to do it alone. The family will always pitch in. 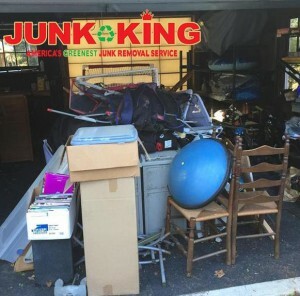 As for getting rid of your unwanted junk, all the help you need can be found with a call to Junk King Seattle. Junk King Seattle crews pretty much work from sun up to sun down. They could make several pickups in the course of a single day. It could also mean they’re making several drop offs back at the depot of all the stuff. Everything that Junk King Seattle collects needs to be sorted to determine where it will “land” for its final destination. Some items could be dropped off at a charity while others are earmarked for the nearest recycling center. Once the truck is empty, it is back on the road for the Junk King crew. Because the crews are always in operation, you might be able to land a same day pickup. If you would prefer to schedule Junk King for the weekend, then that won’t be a problem. They understand how busy things can get for the holidays so it’s all about your schedule that works for Junk King. As for what you can turn over to them, that is entirely up to you. You can give them old furniture, busted air conditioner and even a water heater that has been replaced. It is all going to be loaded onto the truck without your lifting a finger. The cost for Junk King Seattle’s service will be arrived at once the crew has had a chance to look over all the things you want to get rid of. They’ll be sizing up how all that stuff is going to fit on their truck and they’ve got a lot of experience with packing p that truck. Junk King Seattle is standing by to make your holidays totally junk free. This entry was posted in Seattle Junk Removal and tagged clutter, holidays, junk, Junk King on October 31, 2017 by Junk King. Last updated November 3, 2017 .